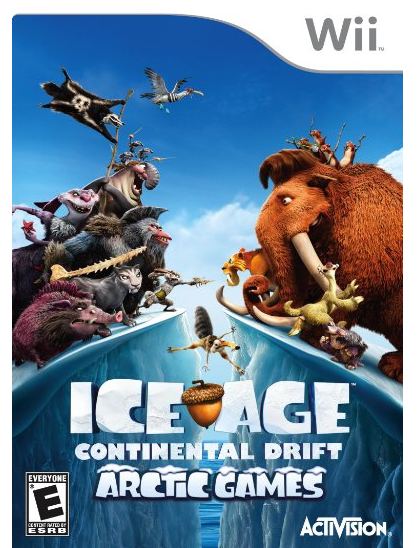 Ice Age: Continental Drift Arctic Games for Wii Just $2.87 + Shipping (Reg. $30)! You are here: Home / Great Deals / Amazon Deals / Ice Age: Continental Drift Arctic Games for Wii Just $2.87 + Shipping (Reg. $30)! Ice Age: Continental Drift Arctic Games for Wii Just $2.87 (Reg. $30)! Hurry if you think you might want this – they only have a few left! You can grab a copy of Ice Age: Continental Drift Arctic Games for Wii for just $2.87 (Reg. $30)! Shipping is only $4.59!